Traditionally, immature permanent teeth with necrotic pulp and apical periodontitis are treated with apexification procedures using calcium hydroxide (CaOH2) or by performing an apical barrier with Mineral Trioxide Aggregate (MTA) prior to filling the root canal . The CaOH2 apexification procedure generally encompasses multiple visits and a long period of treatment time. Prolonged treatment with CaOH2 can break the bonds between collagen fibers and dentin hydroxyapatite crystals, which leads to microhardness reduction and increased fracture susceptibility. An apical barrier with MTA shortens treatment time. The treatment of apexification with CaOH2 or apical barrier of MTA is biocompatible and bioactive, however, a procedure of apexification in immature permanent teeth with necrotic pulp, has no potential to restore the vitality of the damaged tissue in the canal space and promote root maturation (thickening of root canal walls and / or apical closure). The European Endodontic Society (ESE) and the American Association of Endodontists (AAE) have issued position statements and clinical considerations for regenerative endodontics . Regenerative endodontic treatment (RET) includes procedures that allow root development, increased wall thickness and apical closure. The production of totally autologous matrices using a second generation platelet concentrate known as platelet and leukocyte rich fibrin (L-PRF® - Intra-Lock International - Boca Raton, FL, USA) containing growth factors and entrapped cytokines in a free polymerization fibrin network / matrix, may increase the regeneration potential of soft and hard tissues. We present a clinical case where modified regenerative endodontic procedures were used, using L-PRF® as a matrix and source of growth factors for treatment of a necrotic immature superior lateral incisor with open apex and associated chronic apical abscess, introducing the theme of "Bio- Obturation". Patient A, male, non relevant medical record. Intraoral examination reveals the presence of a conoid shaped supernumerary tooth, erupted between teeth 52 and 51. Patient B, male, monozygotic twin of previous patient, non relevant medical record. Intraoral examination showed the presence of an erupted supernumerary tooth, with a conoid morphology, located between teeth 62 and 61. The supernumerary tooth is fused with the central incisor. In both cases, radiographic exams reveal a normal root anatomy of the supernumerary teeth, but the overlapping anomaly is only present in one of the siblings. Discussion: This clinical case demonstrates that monozygotic twins may share similar dental anomalies. In this case, the coincidence of anomalies of number was observed, such as the presence of a supranumerary tooth in the pre-maxillary region, with a similar morphology and a symmetric distribution, suggestive of a mirror-image. The mirror-image phenomenon in monozygotic twins is described in the literature. Published data suggests that approximately 25% of this population manifests this characteristic, typically connected with tissues of ectodermic origin. It is believed that the presence of phenotypical discordances in identical twins may be the result of epigenetic influences during development. Conclusions: The dental anomalies described here, although rare, when diagnosed in a child with a monozygotic twin, constitute a find which warrants a screening of the same pathology on the twin. Introduction and Objectives: Dental caries share risk factors with diet. The objective was to investigate the possible correlation between caries and BMI in children of the NGO "Pour un Sourire d'Enfant" in Cambodia. Material and methods: A cross-sectional study was conducted on 344 students of 6-18 years. The BMI-for-age was calculated using the WHO AnthroPlus Software v.1.0.4. Statistical analysis was with SPSS v.24 using ², Kruskal-Wallis and Mann-Whitney tests for univariate comparisons and correlation tests (Spearman, Kendall's tau and Pearson) for multivariate associations. Results: The mean DMFT was 5.83 ± 3.84 and 95% of the participants had experience of caries, especially at low ages (6-11 years). The majority (67%) had normal BMI-for-age, 25% underweight and 8% overweight. There was an inverse and significant correlation between dental caries and BMI-for-age, r (290) = -0.126, p = 0.032 (Pearson's coefficient). Discussion: Many researchers have already investigated this possible association, with results inconsistent mostly in populations from developed countries, but not in developing countries. Possible causes have risen in Cambodia due to double burden of malnutrition at low ages and the recent trend of increasing consumption of diets high in sugar. Clinical Implications: Need to monitor diet and caries in developing countries. Conclusion: There was an inverse, statistically significant association showing that the increase in BMI-for-age corresponds to a decline in the number of dental caries. The reduced weight will be related to more dental caries. Future longitudinal studies will help to clarify the causality in this type of population. Introduction: Despite the high success of endodontic treatment, failure occurs, mainly, because of poor disinfection achieved during it or reinfection of the root canal system, after its conclusion. To restore oral health it's often necessary a non-surgical endodontic retreatment. Objective: The aim of this study was to compare the efficacy of rotary and reciprocating techniques for removing filling material from root canals, using a radiographic method. A system - OneShape (Micro-Mega, France) was intentionally included for the first time in a retreatment research. Material and Methods: 80 single root teeth were instrumented with hand k-files up to size 30 according to a crown-down and step-back techniques and filled with gutta-percha and an epoxy resin-based sealer using Tagger's hybrid technique. Teeth were divided into four groups (n=20): Reciproc®(R) (VDW, Germany), WaveOne®(WO) (Dentsply Sirona, Switzerland) ProTaper Universal Retreatment®(PTR) (Dentsply Sirona, Switzerland), and One Shape®(OS) (Micro-Mega, France). All teeth were radiographed, using a paralleling angle technique with digital Image Plate Plus size 2 (Dental Durr, Germany) and a film positioner holder before and after filling material removal. The total area of the initial filling material and the remaining one was measured using the analysis software Adobe Photoshop CC 2017® in order to calculate the percentage of removed material. Data were compared using D'Agostino & Pearson, Krusskal-Wallis & Dunns and t-Student tests at 5 % significance level. Results: No significant statistical differences between groups were found; however, the WO group showed higher values of reduction, followed by R, PTR and OS, respectively. Discussion: The major goal in non-surgical endodontic retreatment is to obtain disinfection of the root canal system. In order to achieve that purpose, an effective filling material removal is necessary. Although there is disagreement between different studies, in the past two years, regarding the final results, a large number of them placed WO as the most effective. It should be noted that many systems, when designed for instrumentation, are, often, in clinical practice, used for the purpose of filling material removal. Conclusions: None of the tested systems were able to completely remove the filling material; reciprocating systems proved to be more efficient than continuous rotary systems: nevertheless, without significance differences between them. Clinical relevance: This study provided consistent information on filling material removal capacity of One Shape, a system never tested in this purpose. Considering that all tested systems were safe, One Shape may be an alternative for endodontic retreatment as, in spite of poor performance, that difference was not significant to the others systems tested. Additionally, a supplementary approach with a finishing instrument or an ultra-sound system may enhance filling material removal. Sponsorship: Micro-Mega, France; Dentsply Sirona, Switzerland and VDW, Germany. A 50-year-old female patient with complaints of lower dental mobility, lack of esthetics and difficulties in chewing. After a careful intra-oral evaluation, diagnostic radiographic examinations (Orthopantomography and CBCT), Trefoil surgery was performed with the placement of three implants between mental foramen with surgical guides followed by immediate loading with a prefabricated titanium bar incorporated within a definitive prosthesis at the very same day. Introduction: Dental fractures are the third most common cause of tooth lost and they can be coronal or radicular fractures. They can also be classified according to fracture direction: horizontal or vertical. The first ones are the most common. The main cause for this type of fractures are direct traumas on anterior teeth, mostly on upper central incisors. Vertical fractures extend along the long axis of the root towards the apex, and they can be complete or incomplete, supra-osseous or infra-osseous, involving only one or both sides of the root. Objectives: Understand the different types of root fractures, as the prognosis of the tooth can be different according to the type and location of the fracture and the different treatments which patients are submitted these days. Methods: The research included the term "root fractures", "vertical root fractures", "horizontal root fractures", "prognosis of root fractures" and "treatment of root fractures". Articles were included in Portuguese, English and Spanish. 20 articles were selected: 7 review articles, 6 research articles and 7 clinical cases. Results: Horizontal fractures can be classified according to their localization: apical one third, middle one third and cervical one third. Physiological repair of FRH it's a combination of pulp and periodontal ligament responses. Depending on the fracture site, the clinical approach is different. It can be just evaluation of tooth response and endodontic treatment to, in more extreme cases, extraction of the tooth. Vertical root fractures represent approximately 2 to 5% of crown / root fractures, most frequently in endodontically treated teeth. They are a constant problem in dentistry because they are difficult to diagnose in their initial states. In most cases, tooth extraction is the only reasonable treatment when the fracture is finally diagnosed. However, there are other treatment options that should be evaluated. Conclusions: Fractures are a constant problem in dentistry because they are difficult to diagnose in their initial states. Diagnosis can be problematic and regularly requires only a prediction. Knowing how to identify, make a reasonable prognosis and know how to act according to the clinical implications of each case requires a correct diagnosis and an identification of the different locations and extent of fractures. Clinical Implications: In the daily practice of the dentist, root fractures are a frequent problem. There are several therapeutic approaches that vary depending on the region that fractured, the patient's age, mobility, and root development / formation. As such, it is crucial that the dentist can make a correct differential diagnosis of this condition, in order to be able to act in the most effective way. Minimally Invasive Approach in Anterior Teeth. Clinical case. Description of the Clinical Case: A 20-year-old male patient presented at the Instituto Universitário de Ciências da Saúde - Gandra, University Dental Clinic belongs to Department of Conservative Clinic complaining about the appearance of her smile. Finished orthodontic treatment 5 years ago, without relevant background. The extent of white spot lesions (13-23) was evaluated by transillumination with the light curing. The physical and clinical history evaluation, led to the following diagnosis: HIM (Molar Incisive Hipomineralization), desmineralization after orthodontic treatment and fluorosis. Prognosis: favorable. Treatment plan: microabrasion (Opalustre®), microinfiltration (ICON®) and diastema closure. Discussion: In the last few years, minimally invasive techniques such as infiltrative composite (in more superficial enamel stains) and microabrasion technique (in deeper enamel stains) have been used in the treatment of white spot lesions as an alternative to hard tissue removal with burs. The microinfiltration technique has been described as highly conservative in the treatment of non-cavitated white spot lesions.The microabrasion aims at a minimally invasive approach in deeper enamel lesions. However, unlike conventional restorations, in this technique there is only the necessary abrade for total removal of the lesion. Conclusion: With the correct use of these techniques, it was possible to improve the appearance of the anterior teeth. It can be concluded that microabrasion and microinfiltration are safe techniques, providing favorable results in the treatment of white spot lesions. However, studies with prolonged follow-up periods are necessary in order to evaluate the long-term behavior of the composite. Introduction: A large number of hospitalised children present symptoms in their oral cavity due to the side effects of their disease/treatment, further aggravated by a lack of oral care at this stage. Objective: To characterize the knowledge of the caregivers about the oral health care to be adopted in children with regular medical care and during the hospitalization at the Hospital Dr. Nélio Mendonça, Funchal. Materials and Methods: The measuring instruments used were questionnaires given to caregivers for children attending the hospital between june and august 2017. Data analysis was done using the SPSS®. Results: In the majority of the children it was found that there was no parental supervision during toothbrushing, as well the caregivers being unaware of the existence of complementary hygiene instruments. During the hospitalization, a reduction in brushing frequency was observed compared to the brushing performed at home. Discussion: The caregivers have demonstrated a poor perception of the repercussions that inadequate oral hygiene may cause, so this situation can be reversed with the presence of a Dentist as an integral part of the multidisciplinary hospital team. Conclusion: Inadequate knowledge about preventative methods constitutes a barrier to the oral health of these patients. In this context, both health professionals and those caregivers are not properly informed about the importance of oral health promotion. Clinical implications: The implementation of oral health education/promotion actions within the hospital environment represents a differentiating factor for the optimization of the health and quality of life of the systemically compromised pediatric population. Case Report: A male patient presented at a dental appointment complaining of spontaneuous pain in the left lower posterior region. Tooth 36 was diagnosed with irreversible pulpitis. Periapical tissue was found normal. A distolingual root was discovered through radiographic analysis. Taking under consideration such an anatomical deviation, prognosis is reserved. The root canal system was shaped with Protaper Gold files. Irrigation protocole included 5,25% sodium hypoclorite, 10% citric acid and 96% vol. ethyl alcohol, with sonic activation. Obturation was performed with guttapercha cones and resinous cement recurring to Tagger's hybrid technique. Discussion: Mandibular molar may presente additional roots located buccally (Radix Paramolaris) or lingually (Radix entomolaris) to the distal root. In order to clinically recognize a Radix Entomolaris it is required na rigorous evaluation of the tooth anatomy and pre-treatment radiographs with a diferente angle. In such cases a trapezoidal access cavity opening should be performed. Straight line access to the root canal system is required in order to achieve proper cleaning, shaping and obturation. Conclusion: Clinicians must be aware of anatomical deviations as Radix Entomolaris. This presentation describes how to adress such cases through proper clinical and radiographic diagnosis, adequate access cavity opening and shaping of the root canal system in order to promote the success of endodontic treatment. Introduction: With limited bone availability in the posterior maxilla, we can regenerate with lateral osteotomy surgery of the maxillary sinus. Main: Histological, histomorphometric and radiological comparison between autograft and xenograft (Osteobiol Mp3®) on maxillary sinus lateral osteotomy. Materials and methods: Split mouth randomized controlled trial,12 patients sample, 6 months of follow-up. Pre-CT scan was performed to assess the initial bone height, plan simultaneous bilateral sinus lift surgery, and intraoral autograft harvesting. After six months, a CT was performed to reassess the bone volume, plan the implants placement and collect a bone sample. Results: Histologically wera observed, several stages of remodeling, without inflammation/infection. Histologically, the mean percentage of bone/connective tissue was 57.3%/42.7% vs. 56.0%/44.0% (auto vs xeno, p = 0.380). At patient's scale analysis, there were no significant differences in the performance of the material (p = 0.376). A signifcant effect of the patient (p <0.029) and the patient*material interaction (p <0.001) indicated that the performance of the material depends on the patient. Radiologically, a bone gain of 7.8 ± 2.4 mm vs. 8.7 ± 2.2 mm (auto vs. xeno, p <0.05) was observed, with no significant differences in material performance over time (p =0.26). Discussion: Autograft is the gold standard, although presents disadvantages that justify the search for biomaterials. Results indicate values of bone/connective tissue, bone height gain and clinical complications similar to those in the literature. Conclusions: Both grafts present similar results in the studied variables. Clinical Implications: Xenograft is a valid clinical alternative with less morbidity versus autograft. Indication of sources of funding: The regeneration materials are supplied by Tecnoss® (Osteo-biol mp3® and Evolution® membranes). This work was partially funded by the FCT, Foundation for Science and Technology, through projects UID / CEC / 00127/2013 (IEETA / UA, www.ieeta.pt) and UID / MAT / 04106/2013 (CIDMA / http://cidma.mat.ua.pt/). S. Gouveia thanks FCT for postdoctoral funding (ref. BPD / 87037/2012). Introduction: The final result of a rehabilitation is determined by the color and thickness of the ceramic, by the cement and by the color of dental substrate. Fluorescence consists of a spontaneous emission of visible light in the blue spectrum after absorption of light in the ultraviolet spectrum. Objectives: To evaluate in vitro the fluorescence changes of feldspathic ceramic when used with different flowable resins. Materials and methods: Sixty samples of A2 colored feldspathic ceramic with two different thicknesses were produced. As a substrate, 60 discs of composite resin were produced. The samples were cemented and adhered to the composite resin with 2 flowable resins. The results of the fluorescence spectra were obtained with a spectrofluorometer. For statistical analysis we used the two-way ANOVA, with p <0.05. Results: The group with the highest fluorescence emission is the group cemented with G-aenial Flo A3, thickness of 0.5 mm, with a value of 2.47E06 a.u. The group with the lowest fluorescence emission intensity is the group cemented with G-aenial Flo A2, thickness 0.8mm, with a value of 1.59E06 a.u. Discussion: The fluorescence emission intensity of the flowable resins may influence the final behavior of the ceramic restoration. The thickness of the ceramic influences the fluorescence. Conclusions: Different cements have different fluorescence emissions. Clinical Implications: The optical properties of the cements are as important as those of ceramics. The aesthetics of a ceramic restoration depends on the type of cement used. The Immediate implants protocol has advantages such as morbidity reduction and treatment duration. It is necessary an improved knowledge of both the root anatomy and the bone typography through the CBCT method for the success of this type of technique.Objective: To quantify the buccal bone thickness and root anatomy in cases subject to immediate implants. Material and method: 403 CBCT images (208 upper teeth, 195 lower) of 49 patients from the Faculty of Dentistry of Seville, during the course of 2014. The thickness of the vestibular wall is measured in 3 points (A: crest, B: 4mm from point A, C: vertex). The second parameter is the angle formed by the axis of the basal bone with the axis of the tooth. Results: Maxilla: 89.4% of the incisors, 93.94% of the canines, 78% of the premolars and 70.5% of the molars have a thickness of the buccal bone inferior to 2 mm. Mandible: 73.5% of incisors, 49% of canines, 64% of premolars and 53% of molars have <1 mm measured at point B. Average Angle: Maxilla: incisors 11.67 ± 6.37°, canines 16.88 ± 7.93°, premolars 13.93 ± 8.6°, and molars 9.89 ± 4.8°. Jaw: incisors 10.63 ± 8.76 °, canines 10.98 ± 7.36 °, premolars 10.54 ± 5.82 °, molars 16.19 ± 11.22 °. Conclusion: Due to the high prevalence (80%) of the buccal bone inferior to 2mm it is advisable to perform additional regeneration procedures for tissue preservation. Background: Prevalence of dental trauma can be influenced by several factors, among them binge drinking among adolescents. Objetive: To investigate longitudinally the association of dental trauma with the binge drinking among schoolchildren in Diamantina, Brazil. Methods: This longitudinal study used two waves of data collected when adolescents were 12 and 14-years-old. At the baseline assessment in classroom survey was carried out with representative sample of 588 students. A follow-up survey was carried out with the same adolescents 2 years later. Alcohol Use Disorder Identification Test-C (AUDIT-C) was employed for evaluation of alcohol intake. The predictor variables included sociodemographic characteristics and binge drinking. Descriptive and bivariate analyzes were performed (p<0.05). Poisson Regression Model, considering the number of traumatized teeth as response, was used to calculate prevalence ratios (PR) with 95% confidence intervals. Results: Prevalence of dental trauma in baseline was 29.4% and in follow-up had risen to 33.4%. Gender and socioeconomic status were not associated with the increase in the dental trauma. However, binge drinking and clinical factors was significantly associated with an increase the dental traumatic injuries. Adolescents who reported binge drinking were 1.3 times more likely (IC95%:1,03-1.76) to present dental trauma. The increase in the prevalence of dental trauma and binge drinking was expected, considering the increase in age among the participants. Conclusion: Our results provide new evidence about the binge drinking among risk factors to dental trauma. New and unexpected predisposing factors should be considered in traumatic dental injuries prevention measures in order to improve the effectiveness of their prevention. Objectives: Report the in vitro studies which varied the adhesive protocol in leucite reinforced ceramic samples, and to identify gaps in the scientific evidence regarding this topic. Methods: A research strategy was employed in the PubMed/Medline database, with the following search terms: "leucite ceramics", "leucite reinforced", "leucite porcelain", "bonding", "adhesion", "luting", "dental composite" "resin composite". This review included bond strength test studies, both tensile and shear bond, which varied the adhesive protocol and included leucite reinforced ceramic samples bonded/luted to resin. Only studies published after 2000 were considered. The selection process followed the PRISMA method, having been carried out by two reviewers independently. Results: After the preliminary research, 98 studies were found. Of these, only 8 met the inclusion criteria. Microtensile bond strength testing was the preferred method of bond tests in leucite ceramics, followed by shear and microshear. Most of these laboratory studies focused on the etching and silane coupling agent application. Conclusion: The etching step with hydrofluoric acid and application of a silane coupling agent are well established in the literature as mandatory steps in bonding leucite reinforced ceramics. Variables such as the silanization time, drying method or ceramic bonding with flowable resin composites are some of the identified gaps. Clinical Implications: The correct preparation of the ceramic sample will allow favorable clinical outcomes long term, and the contribution to the normalization of a technique allows future reproductability. Introduction: Contemporary ceramic materials allow a biomimetic replacement of dental tissues. On account of the existence of several commercial feldspathic ceramics together with a study priority focused on adhesion and aesthetics a necessity arises in complementing these studies with information regarding mechanical properties. Objectives: To report in vitro studies which tested the flexural strength and fracture toughness of CAD/CAM feldspathic ceramics, identifying gaps in the scientific evidence. Methods: A systematic search was conducted in the PubMed/Medline and Scopus databases with the following search terms: "feldspathic ceramic/porcelain", "CAD-CAM", "fracture toughness", "flexural strength","three point bending", "four point bending", "strength". Studies which included CAD/CAM feldspathic ceramic in comparison with other CAD/CAM ceramics, published after 2010, were included. The retrieval and selection process followed PRISMA guidelines, and was conducted by two reviewers independently. Results: The search retrieved 118 articles. Of these, only 8 met the established inclusion criteria. The flexural strength and fracture toughness of feldspathic ceramics assessed in these studies were inferior compared to all the CAD/CAM alternatives. The same brand of ceramic material was consistently reported throughout the existing stuides. Conclusion: CAD/CAM feldspathic ceramics are outperformed by the rest of the CAD/CAM ceramics in terms of mechanical properties. Only one study assessing different brands of CAD/CAM feldspathic ceramic was found. This illustrates the urgent need for further research. Clinical implications: Insight towards the mechanical properties of contemporary CAD/CAM ceramics will serve as a guide for evidence based clinicians, increasing the restoration's longevity. Case description: A male patient, 82 years old, with no relevant medical history, was referred by his doctor to diagnose an alteration on the tongue. At the objective examination, a submucosal nodular lesion, approximately 1 cm in diameter, was observed in the anterior region of the lingual dorsum, with about three months of evolution, not associated with painful symptomatology. An excisional biopsy was performed whose anatomopathological examination revealed that it was a lipoma. At the follow-up visit, six months later, there was no evidence of recurrence of the lesion. Discussion: Lipoma is a benign neoplasm with origin in adipose tissue. Although 15-20% of lipomas occur in the head and neck region, only 1 to 4% appear in the oral cavity, accounting for 0.1 to 5% of all benign tumours. Although this tumour has a limited growth potential intraorally, its presence may have aesthetic and functional implications. In addition to other benign lesions, the differential diagnosis should also include liposarcoma, a malignant neoplasm, and clinical diagnosis should always be confirmed histologically. After surgical excision, its recurrence is very rare, presenting, therefore, a very favourable prognosis. Conclusion: Benign tumorlike lesions are relatively common in the oral cavity. Their diagnosis must be histological and the treatment surgical thus they should be submitted to excisional biopsy. The dentist, for his privileged contact with patients, plays a fundamental role in the diagnosis and treatment of these lesions. Aim: The conventional radiographic examinations are two-dimensional representations of three-dimensional objects. These techniques become insufficient in the diagnosis, treatment planning and orthodontic prognosis, especially in orthognathic surgery cases. The aim of this study is to analyse the effectiveness of cone beam computed tomography (CBCT) in the evaluation of the position, angulation and displacement of the condyles, before and after orthognathic surgery. Discussion: There were no statistically significant differences between the values of the angulation and position of the condyles as well as of the intercondylar distance in pre and post-surgical phases. Analysing the average values, there was an increase of the axial angle of the left condyle and the frontal angle of both condyles, while there was a decrease of the axial angle of the right condyle, the sagittal angle of both condyles and intercondylar distance. Conclusion: The CBCT is a useful method for assessing variations of condylar position in pre and post-surgical phases. It was found that, after the surgery, the condyles tend to do a postero-inferior movement. Furthermore, long-term studies with larger sample sizes are needed to ascertain an eventual recovery of the original condylar position and the maintenance of post-surgical stability. Aim: To evaluate the effects of maxillary distraction osteogenesis in patients with cleft lip and palate. Material and Methods: Three patients being treated at the Institute of Orthodontics and Maxillo-Facial department (Coimbra Hospital and Universitary Centre), were submitted to osteogenic distraction. The technique was performed before secondary bone grafting surgery, due to wide cleft, with an internal distractor. Clinical control was done and recorded with intra-oral photographs before and after the procedure. Results: In cases of wide orofacial cleft palates, dehiscence in the bone graft may occur. Distraction osteogenesis is a safe method that reduces the size of large cleft palate, which improves the predictability of alveolar secondary bone graft surgery, as it allows transportation of alveolar bone towards the defect. In all cases, bone formation for orthodontic movement was verified, which allowed maxillary reconstruction. Conclusion: Wide cleft palates can be successfully treated using internal distraction osteogenesis. This protocol improves the predictability of alveolar secondary bone graft surgery. Introduction: The initial surgical treatment of children with cleft lip and palate often triggers centripetal deviation of the perimaxillary tissues that lead to the appearance of malocclusion. The most frequent is posterior crossbite due to maxillary constriction. Objective: The aim of this study was to evaluate the efficacy of the Quad-helix appliance in the expansion of the maxilla of patients with cleft lip and palate. Materials and Method: The study sample included 20 patients with cleft lip and palate. A pre- and post-treatment cone-beam computed tomography (CBCT) image was taken, and a superimposition of the images, using the cranial base as reference, was done. Frontal sections were used to measure maxillary transverse dimensions and teeth inclinations. Paired t-tests at a 5% level of significance were used. Results: The Quad-helix appliance showed a greater expansion in the anterior maxillary region. Expansion also produced buccal tipping of molars, premolars and deciduous first molars. Discussion: The total expansion achieved with this appliance can be divided into 3 parts: skeletal expansion, alveolar expansion and dental tipping.. It was observed that the Quad-helix produces greater dento-alveolar expansion than skeletal, probably due to the resistance of scar tissue existing in the cleft region. Conclusion: In this study it was possible to verify the efficacy of Quad-helix in transversal maxillary expansion in children with cleft lip and palate. It was also possible to verify a greater efficacy in the anterior region than in the posterior region of the maxilla with a bigger dento-alveolar component. Clinical Implications: The use of Quad-helix appliance in mixed dentition is an effective treatment in the correction of maxillary transverse discrepancy of patients with cleft lip and palate, especially when most of the maxillary collapse is in the anterior region. Introduction: Osteogenic distraction is a surgical technique that consists in the separation of a bone surface into two vascularized parts that are gradually separated in a controlled manner using a device called distractor. This technique is an alternative when the defect is very large making it difficult and unpredictable to use a conventional bone graft to solve it. The aim of this clinical poster is to describe a case where a patient was subjected to this approach. Presentation of the clinical case: A 21 years old female patient, came to the Institute of Orthodontics in the Faculty of Medicine of the University of Coimbra, looking for orthodontic treatment for correction of the malocclusion and for correction of the bilateral cleft palate. The treatment plan consisted on the placement of fixed appliances with Roth 0,18 prescription and distractor. Discussion: Through this therapy it was possible to achieve a good clinical result. Good gingival tissue volume and cleft closure were obtained. This technique is an efficient method in situations in which the bone and tissue defect is very extensive and where the predictability of a conventional bone graft is lower. The osteogenic distraction is an efficient method, by allowing the progressive formation of new bone tissue and simultaneously soft tissue adaptation. Conclusion: Osteogenic distraction is an efficient technique for extensive cleft palate reduction, helping the closure of the cleft and allows the conclusion of the orthodontic treatment. Clinical Case: Three patients, two with right and one with left cleft lip and palate, were subjected to distraction osteogenesis, before secondary bone grafting surgery, due to wide alveolar cleft. All patients are followed at the Institute of Orthodontics and Maxillo-Facial Surgery Service of Hospital Center of University of Coimbra (CHUC). Presentation of intra-oral photographs before and after procedure. Discussion: In cases of large orofacial cleft, dehiscence in the bone graft frequently occurs. The introduction of distraction osteogenesis in orthopaedic surgery has given us the ability to resolve these more extensive lip-palate clefts. As it, allows transportation of alveolar bone towards the defect and thus reduce the initial dimension of the cleft, improving the survival and the stability of the secondary graft. Conclusion: Distraction osteogenesis is a safe method and reduces the size of large cleft lip and palate, which improves the predictability of alveolar secondary bone graft surgery. Introduction: Bleaching agents may adversely affect the bond strength of composite resin bonded to the tooth surface when adhesive procedures are performed immediately after the bleaching treatment. Objective: To review and to research in vitro studies that evaluate the effect of antioxidant agents on the bond strength of bonded bleached teeth. This review may answer the following question: "Do antioxidant agents have effect on bond strength of bonded teeth after bleaching?" Methods: The research strategy was performed using the PubMed / MEDLINE electronic database, using the keywords: "antioxidant agent", "bond strength", "dental bleaching" and "composite restoration". Inclusion criteria included in vitro studies published between 2011 and 2017. The exclusion criteria consisted in systematic or narrative reviews and case studies. The selection process followed the PRISMA method, having been carried out by two independent reviewers. Results: The preliminary search retrieved 57 studies. Of these, only 6 met the inclusion criteria. Most of these laboratory studies focused on the concentration and the time of application. Conclusion: The use of antioxidant agents after bleaching neutralizes the deleterious effects of bleaching and increase the bond strength, closer to the usual values. However, this effect is dependent on the type of antioxidant, concentration and duration of the application. Clinical Implications: The application of antioxidant agents could be an advantage for the clinical and for the patient because it will decrease the waiting time between the bleaching and restorative procedure, also decreasing the time required to complete the treatment. Backgroud: Technological advances have enabled the incorporation information to the spatial structure when analyzing socioeconomic, cultural and environmental contexts by enabling the determination of the spatial distribution pattern of health problems. Objectives: Aims were to analyze the spatial distribution of dental caries based on the residences of affected individuals and determine associations with demographic factors in 12-year-old schoolchildren in Diamantina/Brazil. Methods: The addresses were georeferenced using program Google Earth. Dental caries was evaluated by the average index of decayed, missing and filled teeth (DMF-T). Random trends and the density of points were analyzed using maps created based on Kernel interpolation. The residences were distributed in clusters in the urban space with a 99% confidence level. Results: Sample composed of 584 students, 45.7% had caries and significantly associated with demographics factors. In the maps, it was observed that students with DMF-T=1 reside in the southwest region, DMF-T=2 and DMF-T=3 northeast and DMF-T> 4 west. The residence clusters in schoolchildren converged particularly in two peripheral neighborhoods located in the northeastern and southeastern regions. Disparity was found in the distribution of dental caries among the different regions of the city, which reveals the importance of social and economic components in the victim profile. Mapping was fundamental to the visualization of more affected areas, in which peculiar factors may expose adolescents to greater risk. These findings can assist in the planning of prevention actions and public policies. Conclusions: Provide an efficient approach and improve the health impact of the population. Aim: Present a clinical case regarding surgical treatment of a peri-implantitis severe defect with a xenograft/L-PRF block. Clinical Case Presentation: A healthy non-smooker patient, presented peri-implantitis on implant #14 (NobelReplace, 4.3x13, Nobelbiocare, Switzerland) (PD= 7.17±0.98mm + BOP (DB+DP) and radiographic bone loss (4.4±0.8mm)). Venipuncture was performed to prepare L-PRF membranes (Choukroun et al. 2001). A mucoperiosteal flap exposed a peri-implant Cl Id defect. Implant surface was decontaminated with a titanium curette and glycine air-flow. A L-PRF/xenograft (Creos xenogain, NobelBiocare) block was prepared, applied to the defect and coved with L-PRF membranes. Flap was sutured (polypropylene 5/0) and implant left submerged. Results: About 9 months later standardized radiographs were taken and practically complete intra-bony defect resolution achieved (0.53±0.74mm) as well as some supra-bony defect fill. Clinically the PD was 3.33±0.52mm. Discussion: Peri-implantitis regenerative surgical treatment still needs further investigation (Schwarz et al. 2015). An effective decontamination that not causes implant surface alterations is crucial for success and glycine air-flow presents those characteristics (Schwarz et al., 2016, Sahrmann et al., 2015). Xenograft resulted in favorable results in less demanding defects (Schwarz et al., 2006) and L-PRF already demonstrated an healing ability in periodontology (Castro et al., 2017). The L-PRF/xenograft block allowed a higher biomaterial stability and allows it's application on more demanding peri-implant defects. Other authors, in different PI defects, had a PD decrease with only L PRF (Hamzacebietal.2015). Our radiographic results demonstrated a peri-implant bone gain in major PI defects. Conclusions: This clinical case presented the clinical and radiographic resolution of a more biological demanding peri-implant defect. Introduction: Surgically assisted rapid maxillary expansion associates a surgical procedure with orthodontic treatment.. The nasal patency can be objectively assessed through rhinomanometry, a test which simultaneously measures the flow and nasal pressure. Objectives: The aim of this longitudinal and prospective study is to investigate the skeletal changes occurring in the width of the nasal cavity after surgically assisted rapid maxillary expansion and to check, using rhinomanometry, the evolution of nasal patency. Materials and methods: The sample comprised 15 skeletally mature patients referred for SARME. A Hyrax-type appliance was used. The evaluation took place in two stages: T0 - before surgery, posterior-anterior cephalometric radiograph and rhinomanometry was performed. T1 - six months after surgery, posterior-anterior cephalometric radiograph and rhinomanometry was performed. The study includes a control group of 10 patients. In this group only rhinomanometric tests were performed, at T0 (the beginning of the study) and at T1 (six months after the first examination). Results: In the study group, there was an increase in nasal cavity width between T0 and T1and a decrease in the total nasal resistance between (TNR) T0 and T1. Regarding the control group, there was no changes in TNR. Conclusions: SARME had an effect on nasal permeability reducing the resistance. The width of the nasal cavity increased after surgery. It may be advisable to wait for conducting this intervention prior to the decision of additional interventions to improve the breathing capacity of the patients. The following case is about a 25-year-old female patient. On the physical examination, it was found that she had a submental mass and, in the observation of the oral cavity, it was possible to observe that the same mass caused a postero-superior displacement of the tongue. In the observation of CT scan, it was possible to identify a large delimited lesion that caused a narrowing of the airways, causing dysphonia, dysphagia and dyspnea. The excision of the lesion was performed with sublingual access. After histological analysis the lesion was diagnosed as being a dermoid cyst. Dermoid cysts in the mouth appear as slow-growing masses, often located in the midline of the floor of the oral cavity, and are caused by retention of the germinal epithelium during the growth of the branchial arteries of the mandible and hyoid in a failure of the embryonic closure. These lesions are considered to be rare in the head and neck region with an incidence of 1.6 to 6.9% and represent less than 0.01% of all cysts in the oral cavity. This is a case of an unusual pathology since this is a cyst that appears infrequently in the oral cavity and in this case also the dimensions of the lesion are rare. This was a case of success since the enucleation of the lesion was performed by the floor of the oral cavity, which allowed an improvement in the quality of life of the patient, and there was no aesthetic or functional impairment. Introduction: Dentin Hypersensitivity is a frequently reported distressing oral condition. The control of its symptomatology should, firstly, focus on preventive strategies and subsequently direct the therapy with the objective of interfering on its pain mechanism. Objective: To evaluate the short-term effectiveness of nano-hydroxyapatite based desensitizing dentifrice compared to fluoridated toothpaste on the reduction of dentin hypersensitivity. Methods: This was a double blind, randomized, parallel-group, 4-week study in 30 healthy adults with self-reported and clinically diagnosed dentin hypersensitivity, which were randomly distributed to one of the two experimental groups. Tooth sensitivity was assessed at baseline, after 2 and 4-weeks of treatment in response to evaporative and thermal stimuli measured by visual analogue scale. Results: The results obtained confirm that for both treatments there was a statistically significant reduction (p<0,0005) on dentin hypersensitivity throughout the 4-week observation period. No statistical or clinical differences amongst the two therapies were demonstrated with exception for group A individuals which presented a plateau after week 2. Discussion: Both regiments achieved similar improvements, albeit only few participants reported the complete absence of pain. In almost all instances the changes detected within each group were towards the management and/or pain alleviation. 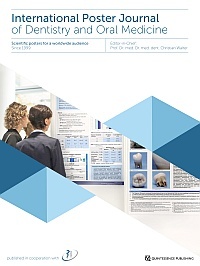 Conclusions: The performance of the two dentifrices was similar after the 4-week treatment time demonstrating identical benefits concerning tooth sensitivity on short-term basis. Clinical Implications: Despite the positive results, more studies are required to help to determine the long-term effect. Moreover, a more effective and durable desensitizing product for clinical use is yet to be found. Cases Description: The posterior crossbite caused by transverse maxillary endognatia is one of the most prevalent malocclusions in the deciduous and mixed dentition. The aim of this study is to highlight the importance of the early treatment of maxillary endognathia. Two clinical cases are described, treated in deciduous dentition, with the use of transversal expansion of the maxilla, with different therapeutic approaches. Case 1: A 5-year-old male patient was recommended by the pediatrician to evaluate the dentition. Case 2: A 4-year-old male patient appeared at the clinic to perform a routine evaluation. In both cases: clinical history, clinical examination and complementary x-ray were performed: orthopantomography, lateral teleradiography, study models and photographs. Diagnosis: Bilateral maxillary endognatia with functional deviation to the left at the closure and lateral and posterior left crossbite in position of maximum intercuspation. Case 1: Treatment performed with a Hawley Expander with posterior bite planes. Case 2: Treatment with a fixed device - Quad-Helix. Discussion: Clinical success was achieved in both cases. In the first case, a removable device with posterior bite planes was used to promote neuromuscular re-education. In the second case we used a fixed appliance since we were warned by the mother about the probable lack of cooperation with a removable one. At the end of the active treatment, the child was followed up by the speech therapist for neuromuscular re-education. Conclusions: Early correction of unilateral posterior crossbite improves functional changes and eliminates morphologic and functional asymmetries of the mandible. Introduction: Distraction osteogenesis is a surgical technique that allows bone lengthening through a biological process of bone formation between two vascularized bone surfaces, which have been surgically sectioned and gradually separated, in a controlled way. This procedure is performed in patients with craniofacial malformations, of acquired or congenital etiology. Objective Study the effects produced by two different rates of distraction in beagle dogs' mandibular condyles by using Cone Beam Computed Tomography. Methods: Ten beagle dogs were randomized in two groups: Control Group, composed by three dogs that weren't submitted to distraction, and Test Group formed by seven dogs that underwent to distraction. Each test animal was subjected to two distraction rates: 0.5mm, twice a day on the right hemimandible, every 12 hours and 1 mm, once a day on the left. At the end of the process of distraction all animals were euthanized. For the study of the dogs' condyles CBCT's, the authors resorted to MATLAB® to analyze the images. Results: The differences between the mean value for the two groups is not statistical meaningful (t(24)=1.369;p=0.184). Discussion The mean value is higher in the group submitted to the slowest distraction rate suggesting that bone consolidation improves inversely to the distraction rate. Moreover, the literature states that changes on the condylar structure appear at high daily distraction rates. At physiologic rates, these changes are reversible. Conclusion: Distraction osteogenesis may induce adaptive changes on mandibular condyles, which can be influenced by distraction daily rates. Case 1: A 79-year-old male patient with hypertension and renal failure. Asymptomatic lesion, whose anatomopathological examination derived from the excisional biopsy revealed the diagnosis of pyogenic granuloma. Case 2: A 42-year-old female patient medicated with paroxetine. Asymptomatic lesion, whose anatomopathological examination derived from the excisional biopsy revealed the diagnosis of peripheral giant cell granuloma. Case 3: A 39-year-old male patient, medicated with pregabalin and tapentadol. Asymptomatic lesion, whose anatomopathological examination derived from the excisional biopsy revealed the diagnosis of peripheral ossifying fibroma. Case 4: Male patient with 45 years of age, with no relevant medical history. Asymptomatic lesion, whose anatomopathological examination derived from the excisional biopsy revealed the diagnosis of focal fibrous hyperplasia. Discussion: When a tumoriform lesion is present in the oral cavity, it is fundamental to formulate a differential diagnosis that allows us to approach it correctly. Although benign, these lesions present a high potential for growth, with eventual functional and aesthetic commitment. In addition, its clinical appearance is similar to neoplastic lesions, underlining the importance of its early diagnosis and treatment. Conclusions: Reactive tumoriform lesions in the gingiva are commonly observed in the oral cavity due to the high frequency of trauma and irritating factors at that site. It is thus fundamental the recognition of these entities, making a correct definitive diagnosis, through anatomopathological examination, and implementing the correct therapy. It is important to eliminate / control the associated etiologic agent in cases of recurrent lesions.